After decades of political antagonism with the West, the Soviet Union made its first Olympic appearance at the 1952 Summer Games in Helsinki. The USSR’s team shocked the world, leaving European countries and Australia in the dust, coming in second only to the USA. It was hard to believe that some of the gold medal winners had been wounded in World War II or nearly starved during the siege of Leningrad. A number had even survived multiple Nazi concentration camps. Often underweight and ill-equipped, these spirited young men and women ended up taking 20 gold, 30 silver, and 19 bronze medals. This film follows these extraordinary athletes, as two of this legendary team’s surviving members describe how they overcame incredible hardships to achieve remarkable victories for their country. 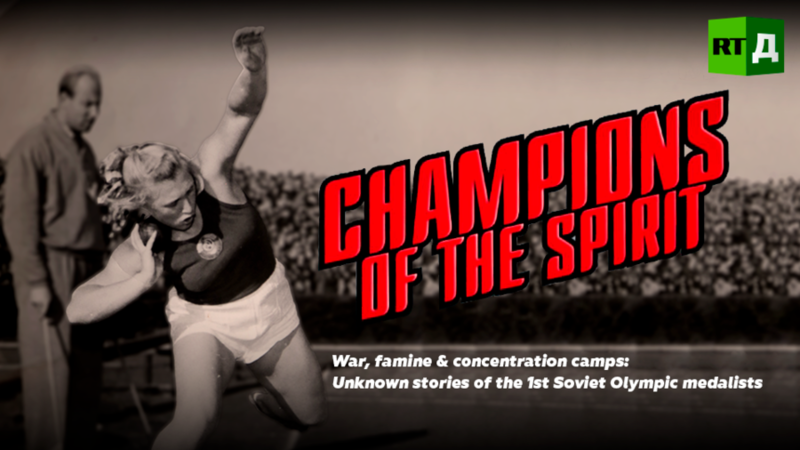 Watch "Champions of the spirit" on RTD website and on RT’s live feed. The time of the broadcast is available on RT’s schedule page.